Vancouver, a local purveyour has just unveiled a brand new creation that’s a mashup of your two favourite sweet treats. 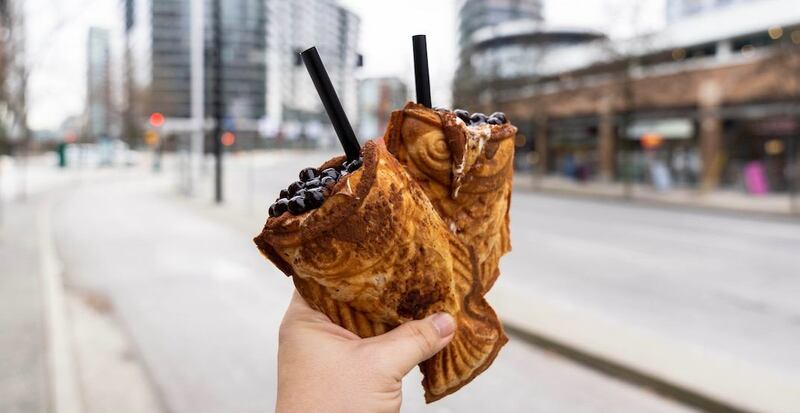 On Yogurt, located at 95 Smithe Street, has a new “dirty series” which features a handful of morsels such as this epic-looking bubble tea taiyaki. 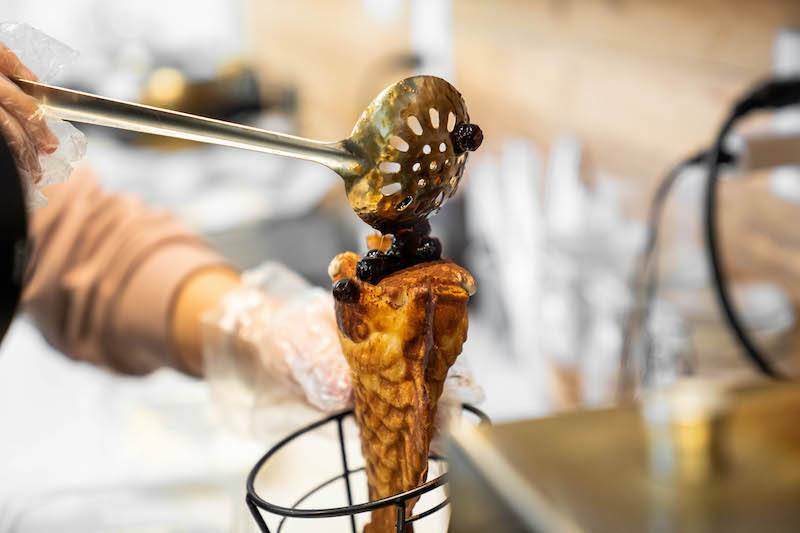 The Taiyaki Dirty Fish is made from black sugar-filled taiyaki topped with yogurt cheese foam, black sugar pearls, and cocoa powder. 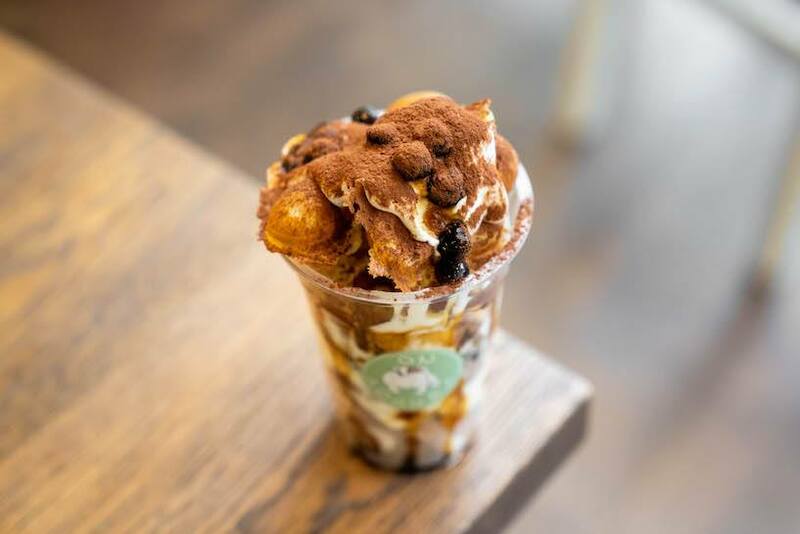 The Bubble Waffle Dirty Cup is made using On Yogurt’s original bubble waffle, yogurt cheese foam, black sugar pearls, and cocoa powder. These treats will be available from February 1 to 28 to celebrate On Yogurt’s third anniversary, so be sure to try them before the end of the month.